Put simply, DALI (digital addressable lighting interface) is a two-way communication system that brings digital technology to lighting. An international standard for communication, DALI defines the commands that ballasts need to recognize in order to be considered DALI ballasts. The system allows individual ballasts to “talk” to the user … and allows the user to “talk” back via DALI controllers, computers equipped with appropriate software, or building management systems (BMS). Most of the hardware used in a DALI system is the same as what’s used in a more typical system. 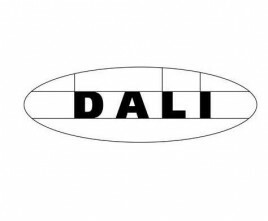 The big difference: With DALI, ballasts can be linked to a central computer, allowing each one to be controlled independently. 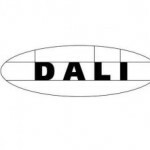 DALI systems are currently available for most types of lamp source. Lighting can be tailored (either individually or across the entire facility) to accommodate peak demand, amount of visible daylight, energy rates, etc. For example, in an office area, some lights can be adjusted as necessary without affecting the other lights in the room. Other systems provide this feature as well, but DALI allows the user to control each light separately. As with other systems currently available, DALI allows pre-set lighting scenarios to be created and achieved with the touch of a button or click of a mouse. For example, in a ballroom that serves many different purposes throughout the day, one button may be pre-programmed to set the lights appropriately for a morning meeting. Another button may be pre-programmed to set the scene for an evening concert.